Richard Stokes is the founder and CEO of AdGooroo, a Chicago-based Kantar Media company and a provider of digital marketing intelligence. A certified expert in both email marketing and conversion optimization, Stokes is a respected speaker and author on search topics. Find him on Twitter at @AdGooroo. To know whether it's successful--or just a waste of time and money--you have to track the following 9 statistics of your online marketing efforts. Search ads are short, so you've got to make each one count. Here are 10 considerations to keep in mind when crafting your ads. Find out what types of buyers are shopping online so you can learn to attract new business. 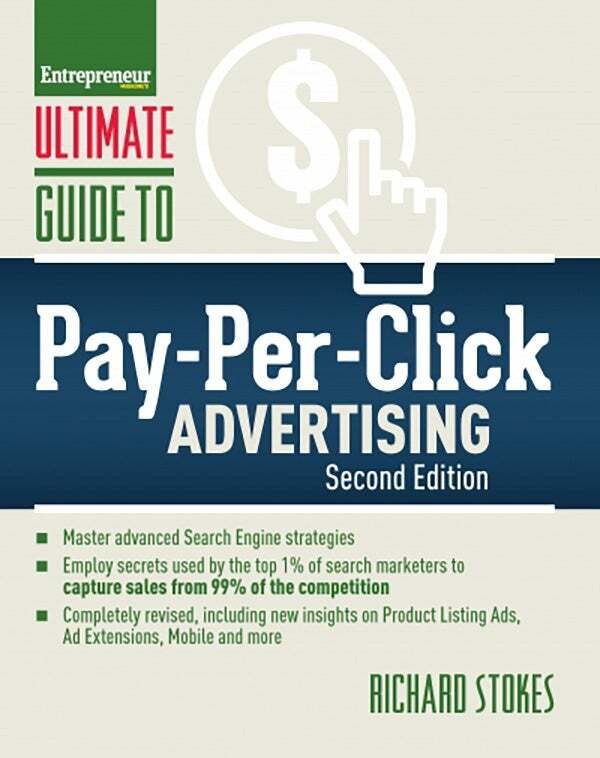 Pay-per-click advertising doesn't work for every type of business. Find out if you should be using it for yours. Find out why blowing off the numbers behind your online advertising will make your marketing efforts fail. If you want to get people to click on your ads, don't make any of these 8 common mistakes made by search marketers. Think AdWords is the be-all and end-all of search engine marketing? Think again. Millions compete for exposure on Google and Bing but 99% of them fail to get results. As the founder of a leading digital marketing intelligence firm, AdGooroo, search advertising authority Richard Stokes is in a unique position to reveal what's going wrong and provide solutions to fix it. Led by Stokes, master proven strategies from today's search advertising elite, and discover how to drive significantly more traffic to your website. Learn how to dramatically increase click-through rates, steal impressions from competitors, boost conversions, and increase your sales by unbelievable amounts.